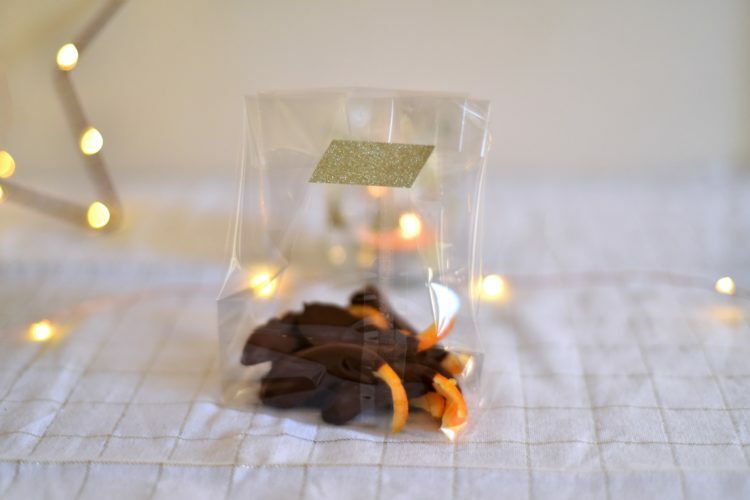 While preparing these orangettes, I was telling myself that they would make a perfect little gift before or during Christmas 🙂 For a nice gift wrap, you simply need to buy transparent pouchs and some lovely masking tape and that is it! 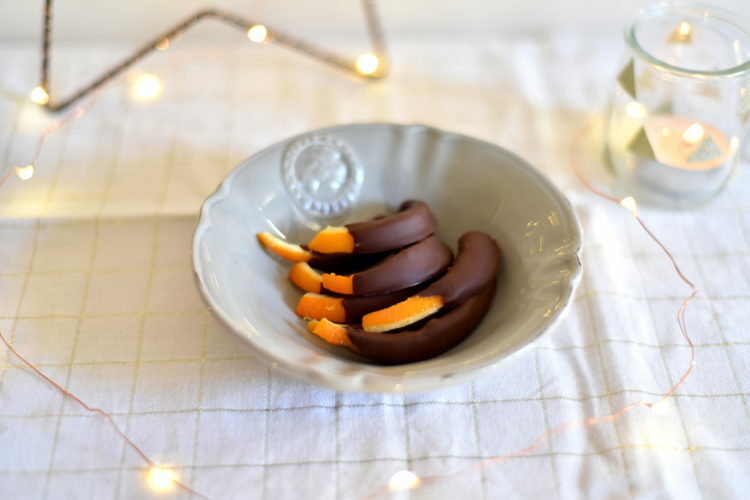 For those of you who do not know the orangettes, it is very French J It’s basically the peel of oranges which are candied and then dipped into melted chocolate. I hope you’ll love them as much as I do! Remove the peel from your oranges (you can leave a little bit of pulp on it) and then using a knife, cut out some 5mm thick sticks approximately (and from the length of your choice). For this first stage, I cut my oranges in two and I then cut some sticks. Once you have your sticks ready, bring to boil some water in a large saucepan and dip the orange peels for a minute. This action allows you to remove the bitterness from oranges. Then remove the peels with a skimmer, and bring back the water to boil and repeat the operation twice. Empty the water from the saucepan, add the 50cl of mineral water as well as the sugar. Add the peels and let cook (it must boil) for 5 minutes. Remove the peels and display them on a grid. Let them dry for a night. The next day, you’ll have to melt your chocolate. For that we’ll use a bain marie (have your chocolate cut in pieces in a bowl that you place above a pan of simmering water). Then stir once the chocolate begins to melt to distribute the heat in the bowl. 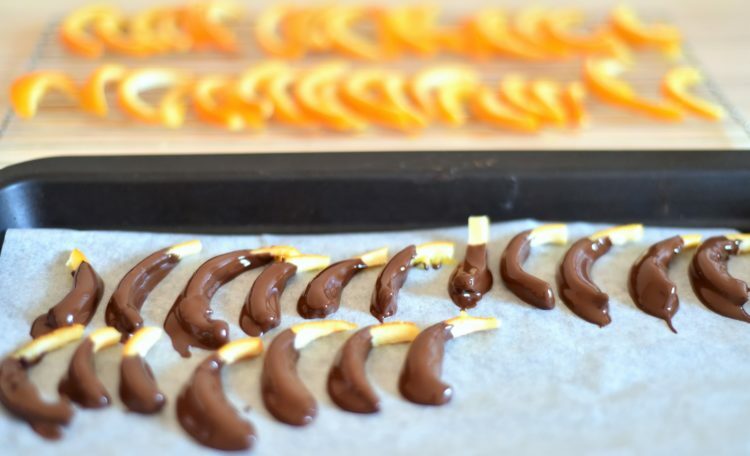 Then dip your orange peels in the chocolate and arrange them on a plate covered with cooking paper. Leave them to dry for 2 to 3 hours before tasting!